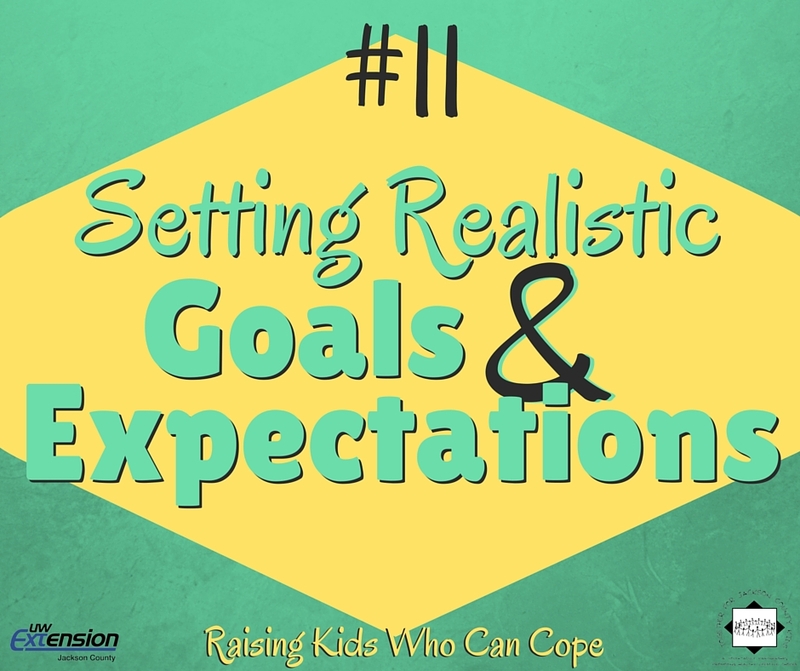 Having realistic goals and expectations for your child will allow them to experience success and feel personally valuable, while setting expectations for your child that may be too high could bring disappointment and cause low self-esteem. A good way to do a check of your expectations for your child is to start with learning a bit about child development. Figure out where your child is at this stage of development, so that you know what they should or could be capable of doing. This will help you keep your expectations realistic, and not too high or too low. You could also ask yourself a few questions like, “Why do I have this expectation?”, “Is it based on my wishes or my child’s needs?”, “What purpose does it serve?”, or “Am I being fair?” This will help you focus on the expectations that have real meaning for your child at his or her stage of development. The long-term effects of setting realistic goals and expectations for your child are numerous, but setting attainable goals and building healthy self-esteem are things that will turn children into confident teens and responsible adults. This entry was posted in Raising Kids Who Can Cope and tagged coping skills, listening, youth. Bookmark the permalink.